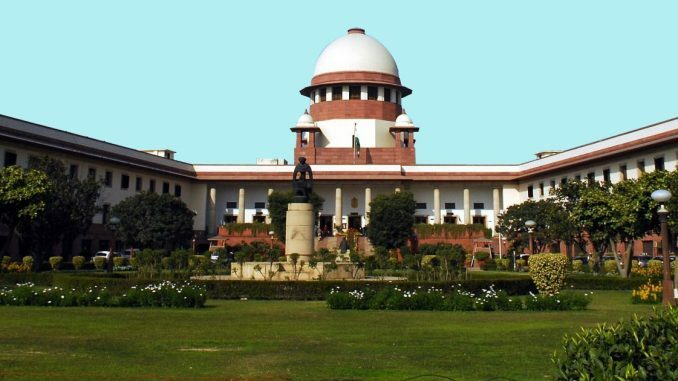 NEW DELHI: Observing that a convict facing death must die in peace and not in pain, the Supreme Court on Friday agreed to examine whether execution of death sentence by hanging+ could be replaced by other less painful procedures like by injecting lethal injection or shooting. A bench of Chief Justice Dipak Misra and Justices A M Khanwilkar and D Y Chandrachud said the government and Parliament could explore other less painful options to execute death sentence and issued notice to the Centre to respond to a petition seeking that Section 354(5) of Criminal Procedure Code, which prescribes execution of death sentence and says that a death convict shall be hanged by the neck till he is dead, be declared unconstitutional and invalid. The court passed the order on a PIL filed by advocate Rishi Malhotra alleging that the present system for execution of death sentence is not only barbaric, inhuman and cruel but also against the resolutions adopted by the United Nations Economic and Social Council (ECOSOC) which says that capital punishment must be carried out so as to inflict minimum possible suffering to condemned prisoners. Referring to various law commission reports, Malhotra contended that they had also favoured other procedures for executing the death sentence. He said that a number of countries had abolished hanging and adopted electrocution, shooting or lethal injection to execute death sentence. “The ultimate conclusion arrived by the law commission was that developed as well as developing countries have replaced execution by hanging by intravenous lethal injection or shooting which is most acceptable and humane method of executing death sentence involving less pain and suffering to a condemned prisoner,” he said. He contended that death by shooting was legal in the country as the Army Act, Navy Act and Air Force Act say a court martial shall, in its discretion, direct that a death convict shall suffer death by being hanged by the neck until he is dead or shall suffer death by being shot to death. Agreeing to decide feasibility to replace hanging as mode of death, the bench said evolution of modern science had opened the door to explore other less painful methods to execute death sentence which should be examined. “It is contended by him (petitioner) that a convict, whose life has to end because of the conviction and the sentence, should not be compelled to suffer the pain of hanging. He has referred to the 187th report of the Law Commission…,” the bench said. The government should take very seriously the suggestion that the method of carrying out the death sentence in India be changed. We have consistently argued that India must do away with the death sentence for all but a few crimes like terrorism. But even among those who find this unacceptable, there would be many who would agree that the killing can be done more humanely. What that method should be can be a matter of debate, but once the principle is accepted, it should not be too difficult to settle that detail.